No job is too big or small for our emergency plumbers. We are open 24/7 and can have emergency plumber to you within 1 Hour*. At Metropolitan Plumbing, we have you covered in any plumbing or gas fitting situation. Our licensed plumbers are highly trained and fully qualified. With the skills, experience, tools and parts to be able to take on any possible plumbing or gas fitting emergency 24/7. From the replacement of a tap washer, clearing of a blocked drain, through to the complete excavation and repair of a sewer drain. We have the right solutions for your plumbing issues. We focus on providing exceptional customer service and long term plumbing resolutions. We come to you in a fully stocked van meaning minimal downtime in regards to needing to source parts. When you need an emergency plumber you’ll get the best, most cost effective and efficient solutions. We service all Metropolitan regions of Adelaide, Melbourne, Perth, Sydney and Brisbane. At Metropolitan Plumbing we ensure that every licensed plumber we employ is trained extensively in every imaginable aspect of the trade. When it comes to gas – you should always enlist the services of a licensed professional. Not doing so, in many cases, is illegal and could void any warranties on the said appliance or void any future insurance claims. Gas is an extremely hazardous substance and can lead to health problems or even explosions if not attended to upon first suspicions. Any gas leak needs to be repaired promptly and proficiently by a licensed specialist. We have extensive experience covering all varieties and brands of gas cooking appliances, gas heating appliances, and gas hot water heaters. than call us at Metropolitan Plumbing. We are experts in repair, replace or supply and installation of hot water systems. We can work all different types of systems such as Solar powered, Gas and Electric hot water, or Heat pump hot water unit. No matter the material, Our plumber will be able to repair or replace the leaking section with no trouble at all. Installing a dishwasher can be a somewhat tricky affair. It should be completed by a professional plumber who knows exactly what to do. There are far too many fittings, connections and parts that go into a perfectly functioning dishwasher to have it done by an amateur. Plus, these appliances cost too much money to risk making a mistake. A Metropolitan plumber has experience with every make and model of dishwasher. So all you need to do is contact us today. If you have a leaking tap, you should get a plumber to look at it. Many people will simply replace the tap washer and say it’s fixed. But more often than not your tap will be leaking again in no time. At Metropolitan Plumbing, we know that a worn washer is often just the surface of the problem. So our plumber will complete a full tap service, making sure every part is in good condition and replacing any that aren’t. 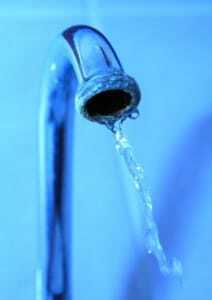 If a tap is beyond repair, our plumber can provide you with a new tap replacement. If you do prefer a tap set that we currently don’t stock. It’s perfectly fine to wait until you’ve purchased this set yourself from a retailer. And we will, of course, be happy to arrange a time for our plumber to come back and install your new tapware for you. We have the right tools available to quickly determine your pipe blockage problem and location. Your attending plumber will assess the situation, which may include a CCTV camera inspection, before deciding on the best method for your drain cleaning. Depending on what the specific blockage is, that course of action will be either the hydro-jetting machine, the electric eel Or, if it’s serious enough, excavation and replacement. Drain excavation is always used as a last resort and your plumber will thoroughly try to rectify the problem before resorting to this extent. Fridge installation is a common requirement in many households and offices due to new model fridges having inbuilt water and ice dispensers. These fridges require a water mains connection. So they need to be installed by a professional plumber. Metropolitan Plumbing can send a plumber to install your fridge with minimal downtime and fuss to you. A blocked, leaking or overflowing toilet can be a major headache, as well as a health hazard. If you experience a faulty toilet, contact Metropolitan Plumbing. We have extensive experience with all makes and models of toilets, cisterns and toilet suites. And even stock some of the best brands ourselves. Giving you the very best and quickest results in regards to toilet repairs, replacements or new toilet installations. We are available 24 /7, including all public holidays. With an emergency plumber arrival time of within one hour* of your booking, if required. Call us on 1300 367 333 or fill out an online booking form and we will be in contact with you shortly.